Interested in building your first blockchain game? TomoChain is highly supportive of developers joining the blockchain movement, and introducing them to dapp development. 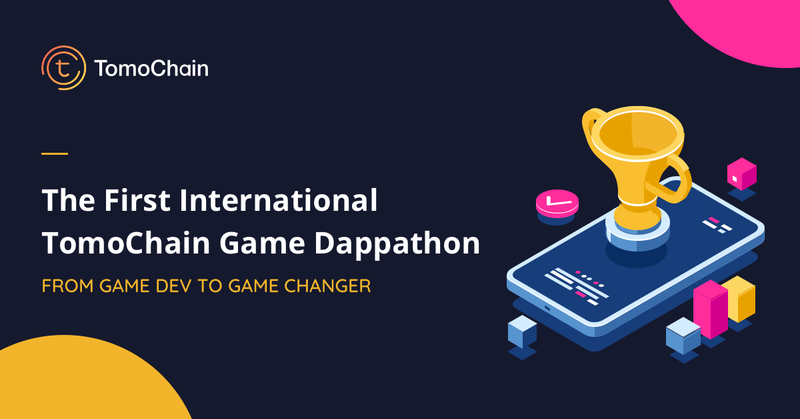 We are hosting our first international game focused dappathon, where anyone, from anywhere in the world can join. The goal is simple: building a working game on the Tomochain Blockchain. There will be three 3 (independent) rounds of submissions, applications are open from today and the deadline is one month away on April 15th. The second round runs from 15th of April to 15th of May, and the 3rd round is 17th of May to 15th of June. Winners and prizes will be awarded for each round, and all winners will be invited to a showcase event in July. Above is the updated timeline with accurate deadlines. You can visit the official competition page here for details, weekly updates, and to register your interest. Do you have questions about this competition? *Prizes will be awarded in TOMO, as per the USD equivalent. TomoChain is an award-winning, Blockchain technology solutions provider. Welcome to TomoChain blog. Follow us to get the official news and good reads from TOMO team. Clap along if you feel like a room without a roof!